CLEVELAND, OHIO, UNITED STATES, December 3, 2018 /EINPresswire.com/ -- DannLaw, one of the nation’s leading consumer protection law firms, is urging victims of the massive Starwood data breach to immediately take steps to both protect their personal information and preserve their right to seek financial compensation from the Marriott Corporation, Starwood’s parent company. Last week Marriott announced that sensitive information belonging to 500,000,000 million people who used the company’s Starwood reservations system has been accessed by cybercriminals. 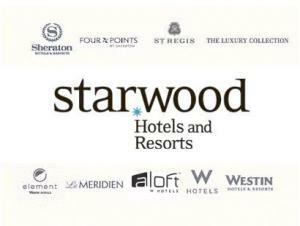 According to the company the hackers copied names, addresses, dates of birth, passport numbers, email addresses, phone numbers, and encrypted credit card information from the Starwood reservation system. The company admits that the perpetrators may be able to overcome the encryption and use the credit card numbers. Atty. Dann noted that Marriott, like other companies that allowed customers’ personal data to be compromised, waited months to reveal that the reservation system had been hacked. “Even worse, cybersecurity experts agree that the company missed multiple opportunities to detect and/or prevent the breach since it occurred in 2014,” the former Ohio Attorney General said. Those experts include Andrei Barysevich, a researcher with the security company Recorded Future Inc., who told the Wall Street Journal that a small breach the company suffered in 2015 should have set off alarms. “With all the resources they have, they should have been able to isolate hackers back in 2015,” he said. Instead, hackers mined the company’s reservation system for nearly four years. Marriott is notifying impacted consumers by email. The email will come from starwoodhotels@email-marriott.com. When other companies provided notifications in this manner, cybercriminals sent fake emails asking individuals to provide information about themselves by providing links to fake websites or impersonating someone trusted. The email being sent by Starwood will not contain any attachments or request any information from consumers and links will only take recipients to the breach web site. Check credit reports from Equifax, Experian, and TransUnion and look for any unauthorized entries or accounts. Be on the lookout for spoofed email address. Spoofed email addresses are those that make minor changes in the domain name, such as changing the letter O to the number zero, or lowercase letter I to the number one. Scrutinize all incoming email addresses to ensure that the sender is truly legitimate.